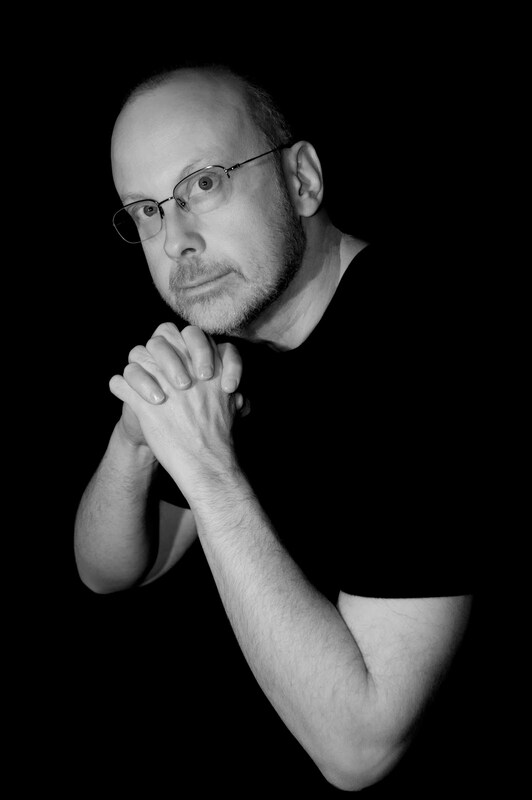 Robert J. Sawyer is a Canadian author who has now won every major Science Fiction Award. 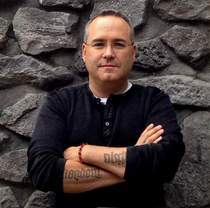 His critically acclaimed WWW series is set in Waterloo, Ontario. I had the opportunity to meet Robert when his book Hominids was selected back in 2005 for the Waterloo Reads, One Book One Community. During that time he became the writer in residence at the Kitchener Public Library for a year. I encountered Robert a number of times during that year at different events and functions. He always seemed to remember me, was very personable and outgoing. He often travelled with his wife and Robert Charles Wilson, another Canadian Sci-Fi author and his wife. Recently he took some time to answer 20 questions for the readers at Book Reviews And More. So without further ado. Here's Robert! I'd be a vertebrate paleontologist specializing in dinosaurs; it's what I'd intended to do for a living right up through my last year of high school. I just didn't think being a writer was a practical course to pursue - although in the end, it turned out just fine! My fifth-grade teacher, Patricia Matthews (later, after she got married, Patricia Jones) was my first fan; she encouraged me enormously in my writing, and I'll always be grateful to her. 3. You have won nearly every major Science Fiction Writing Award, with over 20 wins, what is the most meaningful to you and why? The 1996 Nebula Award from the Science Fiction and Fantasy Writers of America: it was my first truly major award, and it's the "academy award" of the SF field. Winning it meant my peers were saying I'd written the best book of the year; that meant the world to me. 4. What are the key books that everyone interested in science fiction must be familiar with? Dune by Frank Herbert, Stranger in a Strange Land by Robert A. Heinlein, The Foundation Trilogy by Isaac Asimov, and Childhood's End by Arthur C. Clarke. Have faith in your vision of what you're trying to accomplish; tell your stories your way, and don't get sidetracked into doing what others think you should be doing. Four months of nothing but research; two to three months of producing a first draft; another four months polishing that draft; and a solid month of promotion and touring once the new book is out. 7. Your book Hominids was selected as the One Book One Community Read for Waterloo, Ontario in 2005. Then in 2006 you were the Edna Staebler Writer-in-Residence at the Kitchener Public Library. Did you begin work on the WWW trilogy at that time? I started writing the WWW series in November 2004, so the answer is yes, although the biggest hunk of work on the first book was done in the summer of 2007 when I was writer-in-residence at Berton House, Pierre Berton's family homestead in Dawson City, Yukon. I prefer silence when I'm writing; indeed, I often wear noise-canceling headphones. I want to hear my thoughts, not music. Not in that sense; I create these characters a word at a time; they're constructed for the story. A writer should no more hear a character actually as a voice in his or her head than an actor should wake up and be the part they're playing. Yes, my characters are realistic because I work carefully to craft the words that give that effect, but the characters are not real. 10. One of the greatest strengths in your books are the characters, they are so solid and believable. The characters you create, are they reflections of people you know, composites of different people you know or entirely your creations? They're all those things: bits and pieces of real people - certain mannerisms or ways of speaking that have struck me as interesting or revelatory - plus careful, deliberate acts of creation. But no character in any of my books is based on a single person. 11. Many people have comment that your books would make great movies. Have any been optioned? Are plans in the works for those films if so? Most of them have been optioned at one time or another, and right now several are under option. Of course, FlashForward was made into a TV series on ABC, and I'd be delighted to see some of the others brought to either the big or small screen as well. 12. What current projects are you working on or are in the back burner in some stage of development? I'm currently finishing up a novel called Triggers about post-traumatic stress disorder and the nature of memory. 13. What were some of your favorite authors and books in your teen years who helped shape you? Isaac Asimov's The Caves of Steel, almost anything by Arthur C. Clarke, Robert A. Heinlein's Farmer in the Sky, and Frederik Pohl's Gateway and Man Plus. Within science fiction, Robert Charles Wilson, Jack McDevitt, and Paolo Bacigalupi are all terrific - as is Audrey Niffenegger, although she's not published as science fiction. In the mystery/thriller genre, you can't go wrong with Linwood Barclay and Peter Robinson. 15. Many of your books are available in electronic formats but with that comes bootleg distribution. What are your impressions of ebooks and the distribution of them through torrents and other illegal means? Piracy is destroying the ability of authors to make any sort of living; it's soul-destroying to see how many people will freely steal someone else's work, and take food from the mouths of writers and their families. It's just awful. However, ebooks are not the culprit; before their were ebook editions of my work, pirates were scanning the pages from the paper books. We've created an environment in which the value of information and entertainment has been set at zero dollars and zero cents, and that's the death knell of culture. It's just so depressing, and it's a never-ending flood; I could spend my whole life policing it, and there are always new pirated versions going on line. Sadly, the Science Fiction and Fantasy Writers of America disbanded its piracy committee; I hope they'll bring it back. Your professor was right; that's one of the goals. The other is to give people a deep background in our shared culture. 18. Your work has been translated into 20 different languages. What language surprised you the most? What language do you wish it was translated into that has not happened yet? None of them are surprising - but I know writers who envy me for having my books in Turkish; apparently, very little English-language science-fiction gets translated into that language. And I'd love to be in Arabic. 19. If you were stuck on a desert island and could only had only one book to read again and again, what book would you want with you? To Kill a Mockingbird by Harper Lee: it's so many different books rolled into one. It's a great courtroom drama, a great coming-of-age story, a great piece of social commentary, and a great human drama. You chose to be a writer or artist to express yourself - so don't go off and write media tie-ins set in some established franchise such as Star Trek or Star Wars; don't do fake collaborations with a big-name writer where you work in that person's universe; don't put off doing the stories that are important to you; and don't do anything just for the money. The arts are about passion; never lose sight of your own. Robert, thank you for taking the time to answer some questions. And may we have the blessing of many many more works from your pen to pursue!